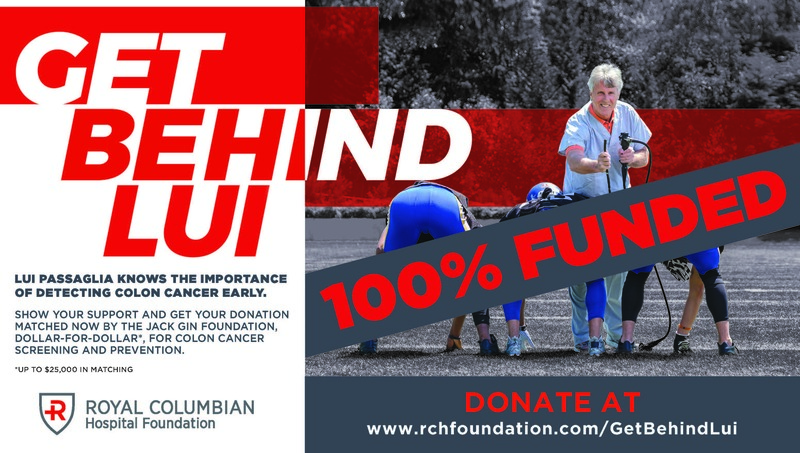 With a dollar-for-dollar match by the Jack Gin Foundation and support from Canadian Football Hall of Famer Lui Passaglia, we have reached our goal to purchase a pediatric colonoscope for the hospital’s GI Clinic. Many thanks to each of you who contributed to this campaign! To make a donation towards some of our other needs, visit our online donation form. Charitable business number 11912 8866 RR0001.